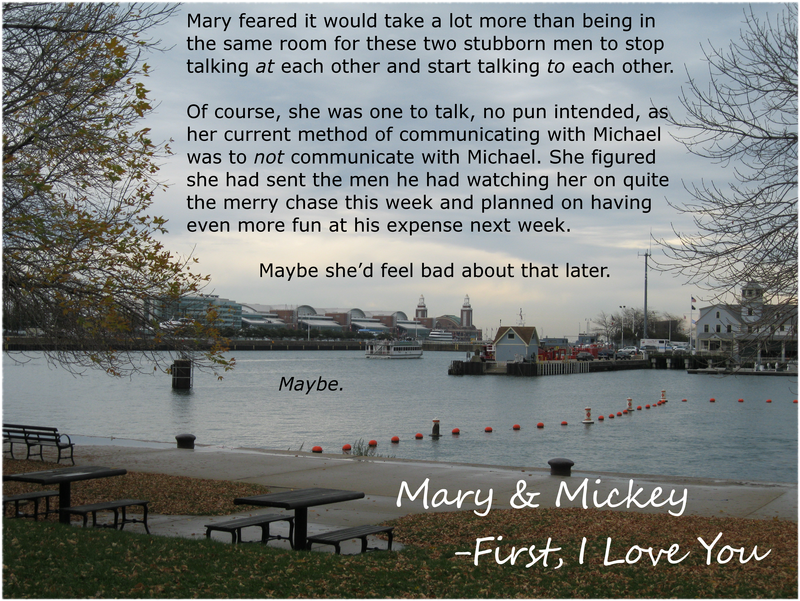 Mickey and Mary’s love has stood the test of time. “Sometimes you don’t realize how taxing it is holding onto something until you let it go,” she said. Michael walked over and embraced her from behind. He kissed her bare shoulder. What has been your favorite Mickey & Mary moment so far? and I will send you a Third Time’s The Charm swag pack. either a missing moment from the series OR a flash back. I can’t wait for the book to come out!!! Holy cow it’s good!!! Third Time’s the Charm, indeed!!!!! I’m giddy that you loved it so much.